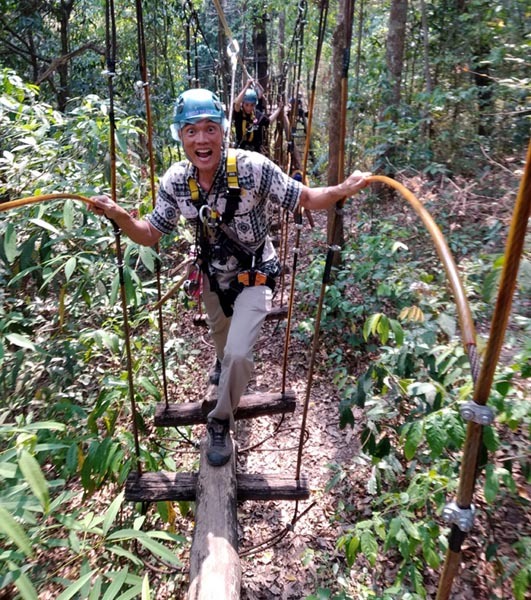 Wish: I hope the guides can do panning shots - sharp focus on the subject with a blurred background denoting warp-speed! 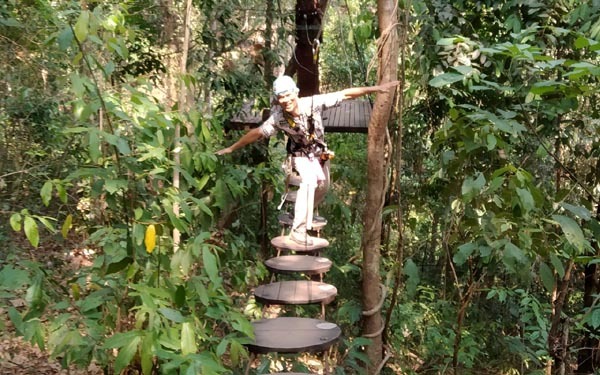 Eagle Track Zipline, like most of Chiang Mai's outdoor adventure offering, is a good 1-hour ride away into the mountains. 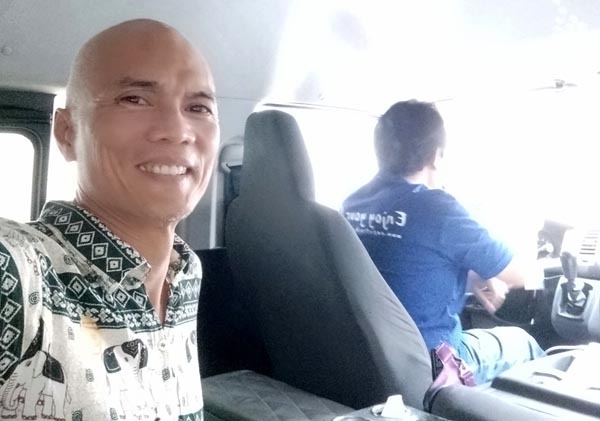 But they pick you up from your hotel door in an a/c comfortable minivan and drops you back the same way - door to door transport. Chiang Mai at this time of year is hot and the air polluted (because it's burning season). This is a big plus! 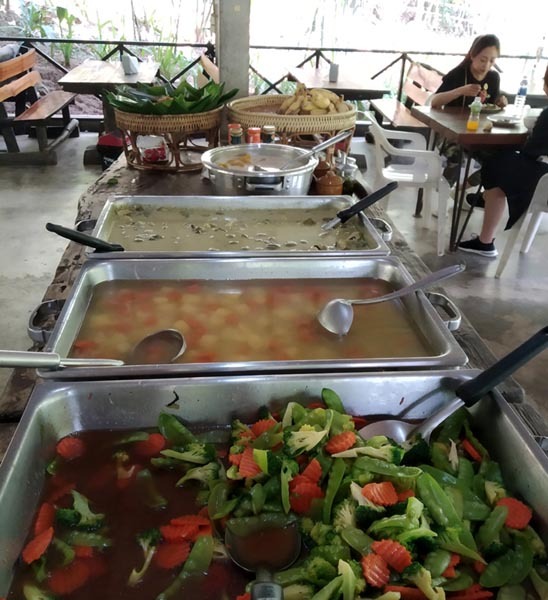 Lunch was a satisfying buffet offering of Thai cuisine and fruits. One thing I noticed was the tour's redundant safety features. It's practically fail-safe. 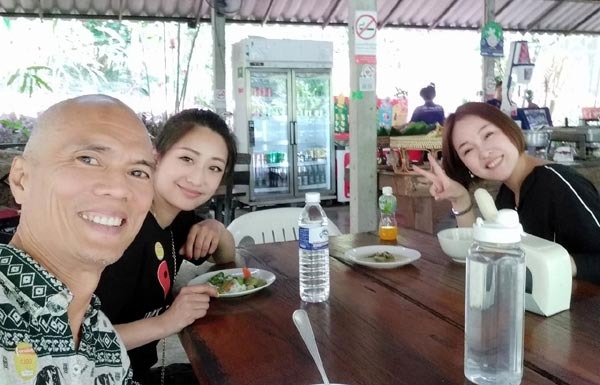 The tour guides are likewise adept in what they are doing and thus inspire confidence. 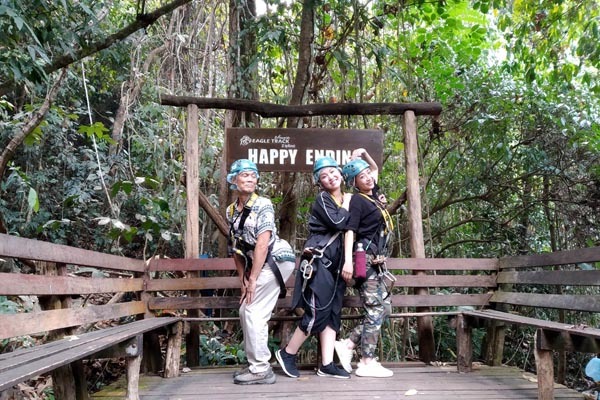 Ziplining can have its own creative twist. 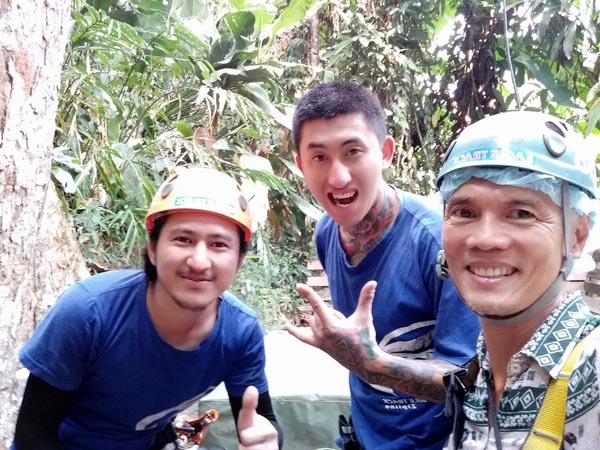 At Dahilayan Adventure Park in Bukidnon, I tried the zipline that was 840m long, once the longest in Southeast Asia (or so was the claim). 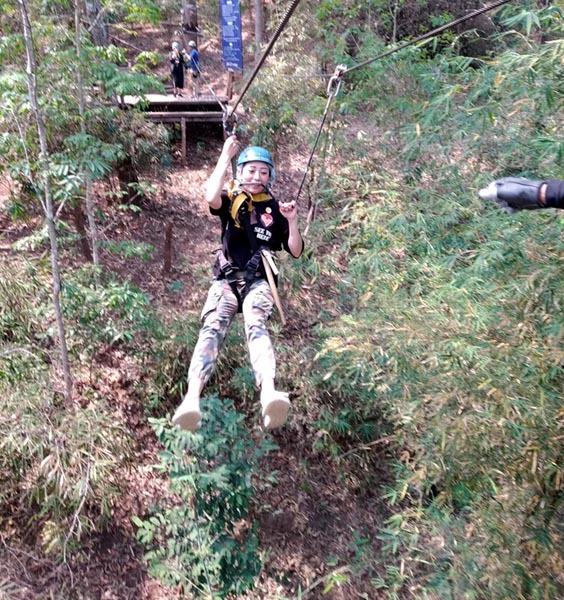 In Lake Balanan, the zipline was a panoramic traverse across a majestic lake. 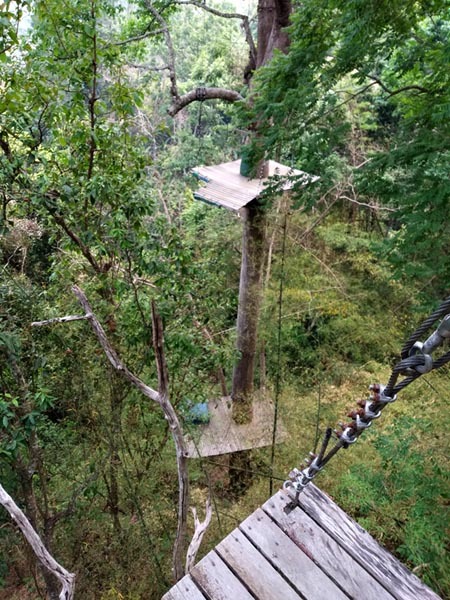 In Loboc, the zipline was across a river and waterfall to the other side of the mountain. 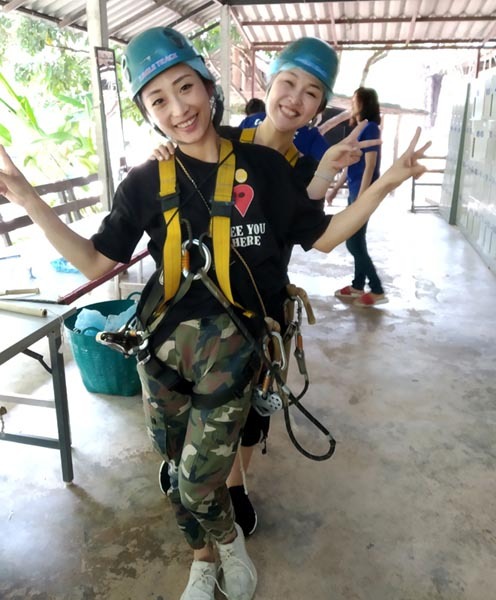 At Zip City in Davao, the zipline-strapping was such that you could do a full inversion while zipping at Mach 1! (don't take me too literally, guys). 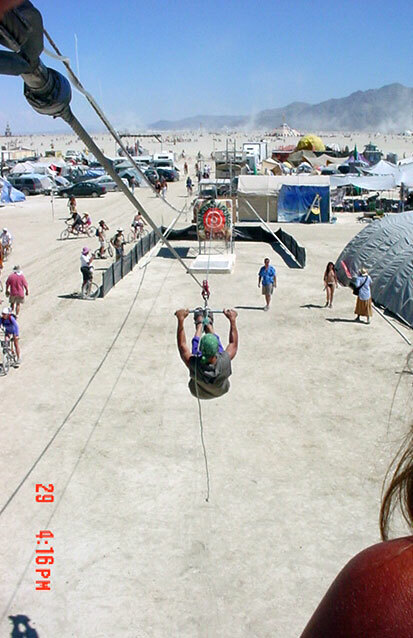 The zipline at Burningman was short but it had no harness and no safety net. 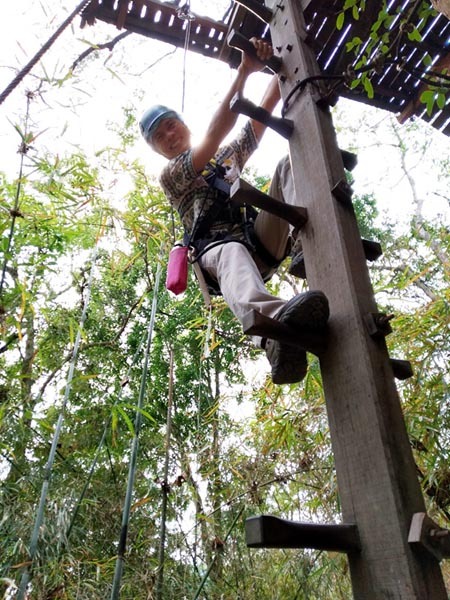 What makes Eagle Track unique from the ziplines I've done before is its 35 stations, moving along the tree canopy onto a treetop landing area. 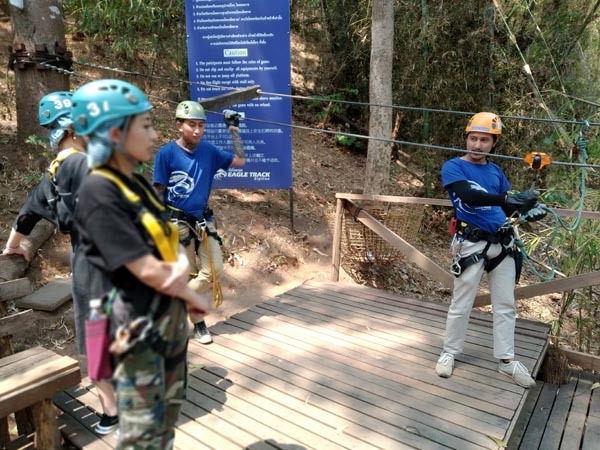 It's not just ziplining but a whole melange of treetop swinging, rope-wall managing, cat-walk, rappelling down, hilltribe climb, etc. It was never boring. And by the time you start feeling fatigued, the 35 stations are done. 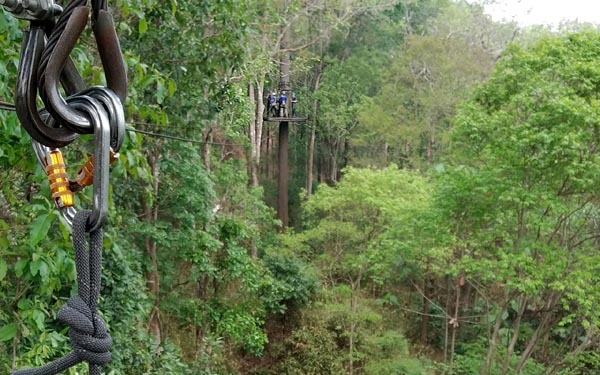 If you have cash to spare and you're new to ziplining, this one is an adrenaline scream.